A question everyone seems to be looking for an answer for: “What does it take to become a truly successful entrepreneur?” Is it who you know? Courage? Dedication? Luck? If you want an answer to this burning question then you need to see who Sir Richard Branson achieved celebrity status in the entrepreneur galaxy. He is one of the most successful and prominent entrepreneurs of our times. He is behind dozens of new ventures and his, Virgin Group, controls over 400 companies. Quite an achievement, isn’t it? Richard Branson always wanted to be an entrepreneur. At the age of 16, his intentions were very clear to his family and friends when dropped out of school. That decision led to start a chain of events which made him enter into different verticals from magazines to record labels, from trains to airline and suborbital space tourism. Richard Branson has been running multiple businesses for a very long time and it’s no fluke. The skills and qualities he possesses act as the catalyst for coming up with new ideas and nurturing and managing these ventures, very different in nature, quite admirably over a long period of time. In his book, Screw It, Let’s do it, he has given us some insight into his managerial style. 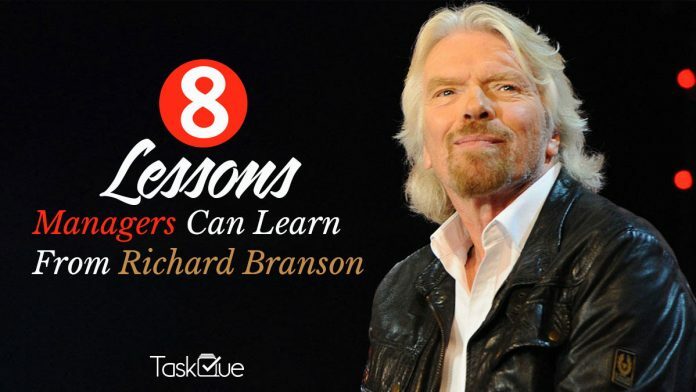 In this article, I will share eight of the lessons, that I found very interesting, with you so that you can learn some important management lessons that you’d only learn after experimenting and taking chances for as long as Richard Branson has done. People spend a long time in making efforts about finalizing things before actually doing a work which results in meaningless delays. Richard Branson doesn’t believe in this and provides his opinion to effectively deal with procrastination. Belief in yourself and making an effort regarding anything you want to do as quickly as possible as delays mostly prove to be the roadblock in starting anything productive. Live life to the fullest and never fear failing is another tip that Mr. Branson mentioned in this regard. This doesn’t mean that you don’t need planning. Of course, it is necessary but people tend to hide their fears before the planning phase and some never start a work ever. So, try to start at the earliest and take the lead and make the rest of the herd follow you. You may have come across many situations where people working together look very serious and even intimidated. Fear is mostly attributed to failure and that stresses out managers, which at times gets passed on to their teams. 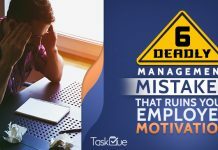 You as a manager or a subordinate can work on getting your daily tasks completed in a relaxed way so that team-related stress can be avoided. Being worried about successfully completing your tasks is a genuine concern, but over-worrying is not going to work. Stressing more than it’s warranted is not only detrimental to your performance at work but also results in straining relations with your friends and family. Therefore, taking a chill pill as well as being on your toes is a winning formula for you to successfully get mission-critical things done minus the stress part. Having a bold stance in every aspect of your work can be instrumental in dealing with any challenge at work. There is no point in playing it safe when you know that being a little confidence can be of immense help to you. If you have an idea you can discuss it with your manager or pitch it to the director of your company. No need to shy away after you’ve done your homework. Being bold is akin to being positive and leaving pessimism aside. It is no way connected to taking unnecessary risks in any way but being valiant is the way to go. 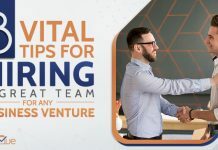 In today’s cut-throat marketplace, the first-mover’s advantage holds huge value and it goes to the person who is bold enough to take the initiative. If you want to make it big in anything you do, you need to challenge yourself to go beyond the limits you’ve set for yourself. Always aim higher than you can do and then make every effort to achieve that target. This is the key to securing your place amongst the best or making a name for yourself in any field. You can go to the next level only when you are going against all odds and have a never-say-die attitude. Challenges, as described by Mr. Branson, are of two types. One is to be the best at anything and the second is related to adventure seekers. I think you are aware that Richard Branson excelled in both of the types and still try to outpace the competitors be it in adventure or in real-life. So never say never and stretch yourself to the limit for the perfect result. Relying on your own capabilities and not looking for a lending hand in every other matter is what this point is all about. Right from the onset, try to do things yourself and consult a person only if you become really stuck at some juncture. Depending upon yourself right from the start of your professional career can do amazing things in this regard. There is a need to teach children what standing on your feet is all about. You will find many examples of people making it big in the business world who were once very poor. This is because they knew from the start what it takes to face the world and why standing on your own feet matters a lot. That’s why people like Richard Branson know the value of money and how hard it is to be successful. Enjoying the life and living it to the fullest is all about making the most of your life. The people whose occupation is service or those involved in any business try to be really service in their work. They usually don’t have much time to enjoy the life outside of their routine one. But that’s what this point is all about, enjoying the life while doing serious stuff too. 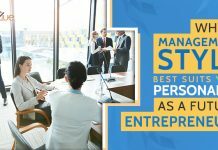 The business world is really fast paced and the people who are part if it also needs to be quick so that to grasp what is going on. The hectic schedule leaves very little room for people to enjoy their social life and this makes them dull and tired after some time. According to Mr. Branson, people need to understand that they can balance their work and life and enjoying every moment while at work can be a fulfilling experience in every way. While this may be included in the work-life balance section, including in the management lessons from Sir Richard Branson is because to give this aspect its due share. People tend to ignore their families and friends and to a certain extent, it works fine. But when this becomes a habit, in the long term it can be really damaging for a person. The loyalty factor with your firm is fine but leaving behind the ones you love can have dire consequences for you both professionally and personally. The professional aspects are that people tend to give importance to money, sales, profits, etc. and leave everything behind. This materialistic approach can ruin not only your personal life but can destroy your productivity in the long term. There comes a time when the person becomes extremely tired of all the work but will have nowhere to go to relax. That’s the reason he will find no one who can take care of him. The usual hustle bustle of the work in offices and in conducting and managing a business can be really taxing. This makes managers, due to increased workload, ignore the efforts made by their subordinates. Naturally, this results in low morale leading to lower performance. Also, there are instances when, under the influence of extra stress, managers lose their cool and often times the subordinates are the ones who get to face the heat. Therefore, it’s imperative for you as a manager to emotionally intelligent. Be polite to your co-workers & more importantly to your subordinates as doing so would bring in good rewards in the long term, at a personal and professional level. These eight life lessons are what separate great leaders, like Richard Branson, from the herd. You can learn a lot of tips from the life and work habits of Sir Richard Branson. I hope you would find these them very useful and apply them to enrich your personal and professional lives.